I am going to keep this in mind when exceptionally tired this week. I have a borderline unhealthy obsession with tenugui, the cotton towel we all wear under our men to make sure our polytails don’t get caught up in men himos (Right? That is why we wear them?) Tenugui are a type of cotton towel that will be one of the first kendo accessories you will likely own. They are customarily given out at tournaments, to friends, and guests. Some teams wear matching designs, and some even have a lucky tenugui. As you progress in your kendo career, you will accumulate so many tenugui that the bottom of your bogu bag will undoubtedly be covered in a thick layer of them. However, as a beginner, you may be on the hunt for one online and it is difficult to really tell much about the fabric without holding it in your hand. Types of tenugui and fabric vary incredibly, and some tenugui are better for kendo than others. Below you can find the 5 do’s and don’ts associated with finding a tenugui that will feel great and be one less thing to fret about when starting your kendo journey. Something that beginners may not be aware of is that not all tenugui fabric is created equal. When looking online, the variability of colors and patterns is endless (and exciting!) and you may be inclined to pick your first tenugui based on looks alone. It is important to read into the type of fabric a little closer to make sure the tenugui you are purchasing will work well for the specific purpose of kendo. What may look beautiful hanging on your wall may not work as efficiently for wearing during kendo practice. You may notice some tenugui are fairly inexpensive and available commercially through amazon or ebay. Although most tenugui are advertised as 100% cotton, the fabric’s weave will make a big difference in how the tenugui feels and how well it absorbs sweat. If the fabric is course, and upon zooming in, you can see the weave of the fabric, it may not serve as an optimal kendo tenugui. Not to say it does not have a good purpose, or is not beautiful, but it may be used better outside of kendo. It is hard to tell, admittedly. Tenugui are divided into several types according to the fineness of the cloth, smoothness is desired. The finer the cloth, the higher the absorption and comfort. In addition, the smooth texture of densely woven cotton dries quickly and prevents odor. The higher quality tenugui are washable without shrinking, and become softer the longer they are used. They can be ironed as the sides begin to wrinkle over, and then can be recycled into home décor when their kendo lifespan has concluded. For comfort, the short edges should be unfinished. Most commercial tenugui are already created this way – the fabric woven on a loom that is only a foot wide. Therefore the two long edges are finished and the two short edges are unfinished. The unfinished sides will unravel a small amount over time, only about 3-5 mm, and the threads should be cut with scissors and never pulled on to avoid causing runs in the fabric and ruining the tenugui design. Some tenugui come with a sewed hem, which is alright as long as the hem is flat. If you see it is rounded, it could cause discomfort around the temples when men is worn. Tenugui are generally in the same ballpark for size, but it is important for a kendo tenugui to measure at 33 cm wide by 95 cm long at the minimum. If a tenugui measures less than this, it will be difficult to wrap correctly around your head and may come loose during practice. Think about your head size or hair style, too. A little longer tenugui can make a huge headed person like me a little more comfortable. Try not to exceed 110 cm in length, to avoid the tenugui bunching on the sides and hurting your ears and no wider than 40 cm in width, or it may ride too low on your forehead, being visible when wearing men, something to avoid. There are two different types of ways tenugui are dyed or printed, and choosing one or the other is just a matter of personal preference. I wanted to include this information just as an FYI instead of a do or don’t. The first technique is more traditional and is referred to as the chusen technique. This is distinguished by the design pattern appearing on both sides as mirror images of one another. Chusen is a traditional method of dyeing using stencil paper. Since the dye infiltrates the cloth, the design appears on both sides. When the tenugui is used for a long period of time, the dye fades, making it more beautiful and soft with use. The more common technique is fabric printing technique. Compared to chusen dyeing, printing can produce patterns or characters that are more detailed, as they are printed using a silkscreen. Since patterns are printed on just one side, the back side is a solid color, unlike chusen tenugui. On the other hand, it is difficult to color the entire surface through printing, and by doing so will make the fabric stiff and undesirable for kendo use. As a last note, make sure that if you purchase a tenugui with calligraphy that is not in your native language, you inquire with the seller or an individual you trust to translate it. Without naming names, I will share with you that one of my teammates inherited a tenugui from the club pile, decorated with Japanese kanji. One day, one of our kendo moms timidly remarked that the tenugui said “kendo kids club” which was entertaining given the fact that the kenshi wearing it was not only an adult, but well over 6 feet tall. Avoid embarrassing moments such as this (sorry, friend) by taking steps to ensure you know what message you are wearing on your head. When it comes down to it, your choice in tenugui should be based on what you like best and what is the most comfortable for you. 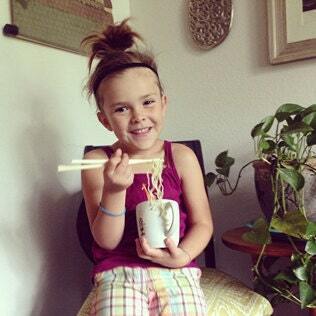 In any case, tenugui are fun and functional, making the perfect gift for friends, family, special dojo visitors, and sensei alike. Or in my case, just collecting for collecting sake … they are sooo cute, all of them, I can’t stop!! Until next time, happy keiko! Midwest Kendo Federation Summer Camp 2018 Announced! The Midwest Kendo Federation Summer Camp 2018 has been announced for August 10-12, 2018. The location is still tentative, and will be announced soon, but confirmed to be Illinois. Stay tuned for updates! Kendo Girl Shinai Safety Guide: Intro! Basic Shinai Safety – Keep All Kenshi Safe! Tis the season for making sure your shinai is in tip top condition and safe for practicing all year round! It is important for all kenshi to take a look at their shinai carefully before and during each kendo practice or event. Especially in climates where the humidity in the air fluctuates (I am looking at you fellow Midwestern-ers), caring for your shinai is a serious responsibility. By caring for your shinai, you can help avoid injuries to yourself and your kendo friends. Anything that could result in the shinai coming apart during use! With frequent quick checks, you can avoid injuries and keep kendo 100% fun and safe! Stay tuned for the do’s and don’ts of shinai repair, coming soon! Meet Lot, the loud, powerful, confident, and funny kenshi who needed a tiny shinai bag and started a unique textile empire. 5. 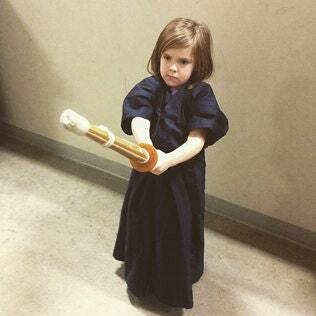 Lot has practiced kendo for half of her life, since the age of 4. Lot has been quite serious since day one! 4. Lot’s small-ness led to the launch of Kendo Girl Inc in 2014 due to the need for a super tiny shinai bag and none being available online. 2. 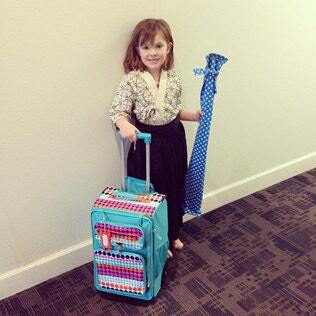 Lot participated in two tournaments before she started kindergarten. 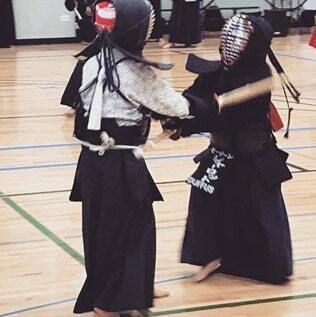 New hashtags emerged such as #kendokindergarten #tinykendo and #minikenshi. 1. 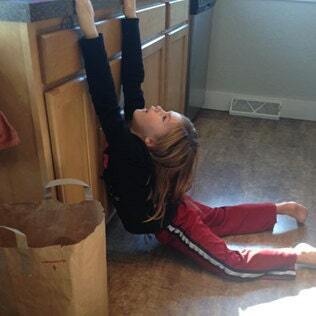 Lot is a fantastic kendo student, but at times needs a little motivation to go to kendo class. For more entertaining news on Lot and Lot-related goofiness, follow us on Instagram, Facebook, and Etsy!